Last year, my very first short story, “Bedroom Bureau,” made its debut in Strangely Funny II. Ever since then, I’ve done everything I can to promote publisher Mystery and Horror, LLC. After all, finding an editor to take a chance on a previously untested author isn’t something that happens every day. 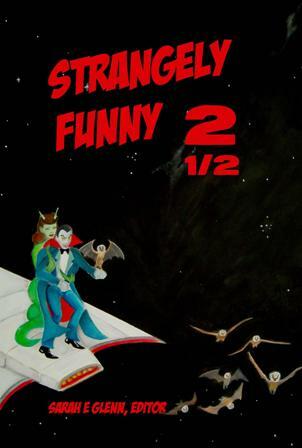 For their latest project, which is a follow-up to Strangely Funny II–the aptly titled Strangely Funny 2 1/2–Mystery and Horror, LLC is featuring a whole new batch of authors, all of whom are adding their own bizarre spin on the nexus of comedy and speculative fiction. Because one book wasn’t enough to contain the insanity. A collection of humorous paranormal short stories. See what happens when the new kid in school is the Antichrist. Aliens get fang marks from their newest abductee. Plus, we put a new wrinkle on the term ‘ghost writer’. Featuring stories from Rosalind Barden, Chantal Boudreau, and David Neilsen. For this week, you can get a Kindle copy of Strangely Funny 2 1/2 for only 99 cents! Seriously, what’s your excuse now? That’s what I thought. And if the above teaser isn’t enough, then check out this table of contents, which includes everything from selkies and skeletons to troll dolls and the fountain of youth. “Knewscast” By Kevin Quirt – Reporting the news before it happens can still leave one prey to the unexpected. “The New Kid” By Tim McDaniel – What happens when the new kid in school is the Antichrist? “The Pillow” By Fred McGavran – The fountain of youth can also give you a magnetic personality. “Inheritance” By Kristina R. Mosley – Every family has its skeletons. 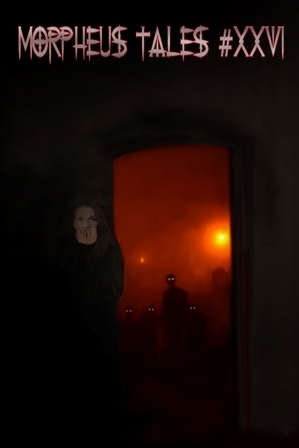 “The Snout” By Matthew Pegg – Jon Darkness meets The Gnawer at the Threshold. “Alien Dust” By Chelsea Nolen – The latest alien abductee isn’t getting probed. “Outsourcing” By Gary Piserchio & Frank Tagader – If you can code in your sleep, these guys still have you beat. “The Demon of City Hall” By Rosalind Barden – A troll doll is the first victim of demonic activity in an unimportant government office. “Sadie’s Selkie” By C.A. Rowland – A selkie’s kiss can be dangerous, given some allergies. “Getting A Head” By Joette Rozanski – Troll weddings have unusual party favors. “Folkesmuir” By John Grey – The village’s first director of tourism gives his all to bring in visitors. “Unimpressed” By David Neilsen – Summoning eldritch creatures as party entertainment proves ill-advised. “Stephen, the Well-Adjusted Vampire” By Katrina Nicholson – How can a nice vampire find love, when all the girls prefer his bad-boy brother? “Beehives of the Dead” By Elizabeth Allen – A woman is buried with the wrong hairdo and takes exception. “The Other Half” By A. Steven Clark – A doctor has a sure-fire vaccine to prevent zombism. “Dead to Write” By Chantal Boudreau – The alternative to ghost writers. For even more crazy good times, be sure to check out Strangely Funny and Strangely Funny II. There’s plenty of speculative tomfoolery to go around! This entry was posted in Fiction and tagged Mystery and Horror LLC on June 24, 2015 by gwendolynkiste. “Calling Hours” Debuts in Morpheus Tales! It’s been a bit of the old radio silence here on the blog, but that doesn’t mean I haven’t been busy behind-the-scenes (more like constantly arranging and rearranging my writing and workload until my hair goes gray). Fortunately, it’s been an exciting couple of weeks with three new stories debuting in print and digital formats! Today I’d like to announce the release of the June issue from Morpheus Tales. Among many other incredible horror stories from the likes of Rose Blackthorn, Scarlett Algee, Caitlin Marceau, and Daniel Weaver is my brand new flash fiction piece, “Calling Hours.” This work is in the same vein as “The Clawfoot Requiem” and features two sisters coping with the thin veil between this life and the next. Have I piqued your macabre-loving interest yet? If so, check out the amazing cover artwork by Joe Young as well as a full table of contents below! This entry was posted in Fiction on June 5, 2015 by gwendolynkiste.